the inviolability of lawyers’ offices and related work files. As a result of this constitutional protection, communications between a client and their lawyer are deemed to be confidential and not subject to disclosure to third parties. Lawyers are also prevented from serving as witnesses in the course of legal work, even if the client authorises the deposition. Exceptions to the general rule of confidentiality occur in very few situations and need to be carefully analysed on a case-by-case basis. In Brazil, as long as the communication involves legal issues and provided that the attorney is licensed or registered at the competent Brazilian Bar, the privilege prevails. Brazilian law draws no specific distinction between external and in-house attorneys in relation to professional rights, duties and protections. Besides this, in general, under the Brazilian system, non-legal professionals are not allowed to advise on legal issues. In the exceptional cases in which they are authorised to do so (eg, filing habeas corpus or acting in administrative proceedings), non-legal professionals cannot benefit from privilege, which is exclusive to those duly licensed at the Brazilian Bar. This inviolability may be breached by court order in cases where the lawyer is being criminally investigated or when there is a paramount interest of justice. 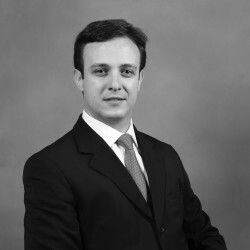 In any case, the question of whether or not a certain document is protected from discovery as a result of the work product doctrine does not come up often, as Brazil does not have the concept of ‘pretrial discovery’, as in some common law jurisdictions. This means that, as a general rule, a party may not be obliged to disclose documents against its interests (this is set forth in the Constitution, in the Code of Criminal Procedure, in the American Convention of Human Rights and in the Code of Civil Procedure). Under Brazilian law, the basic rule is that the plaintiff has the burden of proving its rights and the defendant has the burden of proving its arguments of defence. That is to say, in principle, each party must produce its own documents. the requested documents are relevant to the outcome of the case. the document is considered ‘common’ to the parties (eg, a contract). Nevertheless, in view of the broad protection afforded by the Constitution and the law on attorney-client communications and on a lawyer’s ‘work instruments’, the lawyer can certainly object if any of the parties seek production of a certain document prepared by the lawyer in the exercise of the legal profession. There are several decisions confirming the protections related to the confidentiality of legal communications for professional use, and the inviolability of lawyers’ offices and their work files. The Superior Court of Justice, which is Brazil’s highest court in terms of federal law interpretation, issued a decision considering a judicial order for search and seizure of documents (mainly internal correspondences of the legal department, related to an audit in certain loans, and technical opinions about the regularity of certain contracts) at the legal department of a state-controlled bank illegal for violating the attorney-client confidentiality rules (RMS 27.419-SP, 5th Panel, reporting justice Napoleão Nunes Maia Filho, published on 22 June 2009). This same Court issued decisions: (i)disregarding the inviolability of lawyers’ work files considering the fact that they were being criminally investigated and that the corresponding files were not related to the legal profession (RHC 66.730-RJ, 6th Panel, reporting Justice Nefi Cordeiro, published on 1 April 2016); and (ii) determining that an accidental recording of a conversation between the attorney and his or her client, who is being investigated, does not represent breach of professional secrecy by the attorney (AREsp 457522-SC, 6th Panel, reporting justice Rogerio Schietti Cruz, published on 25 November 2015). In addition, the Ethics Court of the Bar Association of the State of São Paulo, which rules cases involving the compliance of attorneys’ professional duties, issued a decision stating that the professional secrecy is a perpetual duty incumbent to the attorney and authorising the disclosure of privileged documents with the purpose of defending the attorney’s honour and dignity (Case E-4.916/2017, reporting justice Fabio Plantulli, published on 21 September 2017). applies to any lawyer licensed at the competent Brazilian Bar to practise Brazilian law or registered at the competent Brazilian Bar to advise on foreign law in Brazil. if previously authorised by a client to disclose (waiver), except for the attorney to serve as witness. These are the situations in which the attorney may breach the confidentiality granted by the attorney-client privilege. The attorney may raise the arguments above at any time (ie, during a litigation, an investigation, and any other proceeding in which the attorney intends to disclose the privileged documents). It is also important to mention that courts may disregard the protections for attorney-client communications where justice so requires. In Brazil, professional secrecy is an obligation incumbent on the attorney. The Criminal Code establishes, in its article 154, that it is a crime to reveal, without just cause, a secret that a person knows by virtue of his or her profession. The Code of Ethical Conduct of the Brazilian Bar Association provides that the attorney has the duty of keeping confidential all facts learned during the exercise of the legal profession, even against the client’s instructions. The facts are also protected. For example, the attorney is not obliged to testify about facts related to his or her clients’ cases. The protection will prevail only if the communication is exchanged with an attorney duly licensed or registered at the competent Brazilian Bar. On the other hand, there is no difference if the communication is exchanged with agents of the client, provided that it refers to legal issues and is thus prepared in the exercise of the legal profession. Yes. If a corporation is a client, the communication exchanged with an attorney will be considered confidential due to the protection of the attorney-client privilege. The general rule is that all communications between clients and their attorneys are deemed to be confidential. The law does not provide an answer on who controls the protections on behalf of the corporation, so this question must be decided on a case-by-case basis. Yes. Brazilian law draws no specific distinction between in-house and outside counsel in relation to lawyers’ professional rights and duties. As long as the communication involves legal issues and the attorney (in house or outside) is licensed or registered at the competent Brazilian Bar, the privilege extends to communications between employees (clients) and outside attorneys. Yes. Brazilian law draws no specific distinction between in-house and outside counsel in relation to lawyers’ professional rights and duties. As long as the communication involves legal issues and the in-house attorney is licensed or registered at the competent Brazilian Bar, the privilege extends to internal communications between employees and in-house counsel. In addition, the Code of Ethical Conduct of the Brazilian Bar Association provides that an in-house attorney must also preserve his or her liberty and independence. The protection will prevail as long as the communication involves legal issues (ie, a former employee is treated as a client) and provided that the counsel acts in the exercise of the legal profession. if previously authorised by a client to disclose (the waiver), except to serve as witness. If a privileged communication or document is given to a third party by the client or with the client’s authorisation, the client will be deemed to have waived confidentiality, and confidentiality will be lost. In contrast, if a privileged communication or document is given to a third party by the attorney in illegal breach of the obligation of confidentiality, then confidentiality will not have been waived. In theory, no. However, this situation would have to be analysed on a case-by-case basis. If, for example, a privileged document is disclosed accidentally and becomes public, the secrecy is lost in a practical perspective. Please note that, as mentioned in question 15, in order to waive the privilege, the client would have to authorise the disclosure or give the document to a third party. The other situations in which the protection may not be applied are those described in question 6 (when the attorney may breach confidentiality). Considering that the attorney-client privilege protects confidential communications between client and counsel (including both in-house and external counsel), if the communication is shared among employees that are not involved with the legal issues in discussion with the attorney, there is a probable risk of losing the protections and the confidentiality. when previously authorised by a client (waiver), except to serve as a witness. Yes. Courts may disregard the protection where justice so requires. Article 243, paragraph 2 of the Brazilian Code of Criminal Procedure, for example, prohibits the seizure of documents from defendants’ attorneys, unless a document forms part of the corpus delicti. In the same way, Federal Law 8.906/94, which governs the Brazilian legal profession, provides the ‘inviolability’ of attorneys’ offices, tools and correspondence, but such protection may be breached. See questions 3 and 6. The law does not provide an answer to this question, and there are no precedents on similar situations, so this question must be decided on a case-by-case basis. Considering that one of the instances when a party is not obliged to produce a certain document is when production may reveal facts protected by professional privilege, and also that it is a crime to reveal, without just cause, a secret that the person knows by virtue of his or her profession, we understand a party may allege that it cannot reveal a certain communication, otherwise it would breach a certain foreign attorney-client privilege rule. Under Federal Law 8.906/94, which governs the Brazilian legal profession, foreign lawyers have the same rights, duties and protections granted to Brazilian lawyers in relation to privilege, provided that they hold a Brazilian Bar licence authorising them to practise in Brazil. ensure that the communication with the counsel involves only legal issues, and not purely business or commercial issues. inviolability of its office or place of work, as well as its work instruments, and written, electronic, telephonic and telematics correspondence, as long as related to the legal profession. There is no difference if the material was prepared in anticipation of litigation or in anticipation of trial, since the law determines that attorneys’ work instruments are covered by the inviolability. if previously authorised by a client to disclose (waiver), except to serve as a witness. Assuming that the material was prepared by an attorney for a client, the attorney and the client hold the protections. The Code of Ethical Conduct of the Brazilian Bar Association provides that an attorney must preserve his or her liberty and independence. Thus, it is possible that, in some circumstances, only the attorney invokes the protections. the attorneys’ work instruments are covered by the inviolability granted by article 7(II) of Federal Law 8.906/94. Yes, provided that the document was prepared by an attorney duly licensed or registered at the competent Brazilian Bar. As mentioned in questions 2, 11 and 12, Brazilian law draws no specific distinction between in-house and outside counsel in relation to lawyers’ professional rights and duties. The protection of inviolability will prevail if the material is considered a ‘work instrument’ of the attorney. In addition, the material may also be deemed confidential if it is part of a communication exchanged between the attorney and his or her client (see question 1). In principle, no, because the attorney’s work is considered inviolable. However, if the lawyer is being criminally investigated, or where there is a paramount interest of justice, this inviolability may be breached by court order. See question 14 - the same rules of attorney-client communication apply. See question 15 - the same rules of attorney-client communication apply. The Code of Ethical Conduct sets forth that the attorney is obliged to return the original documents provided by the client when the representation ends and where there is withdrawal of the lawsuit (article 12 of the Code of Ethical Conduct). There is no obligation for the lawyer to present other documents, such as the lawyer’s own notes. Nevertheless, if the lawyer decides to present all of his or her files, the protections for work product will not be waived. See question 16 - the same rules of attorney-client communication apply. See question 18 - the same rules of attorney-client communication apply. See question 19 - the same rules of attorney-client communication apply. See question 20 - the same rules of attorney-client communication apply. As these issues normally arise in the context of litigation, administrative proceedings or investigations, it is up to the judge or to the person presiding over the administrative proceedings or investigations to determine whether attorney-client communications or work product should or should not be disclosed. The individuals and legal entities can appeal to the judiciary (in case of administrative proceedings) or to higher courts (in case of a matter handled by a judge) in case the privilege is not observed. No. In Brazil, professional secrecy is an obligation incumbent on the attorney, and the attorney has the duty of keeping confidential all facts learned during the exercise of the legal profession. Thus, if the attorney shares the privileged communication with a third client, it will happen in breach of his or her duty. On the other hand, if the client authorises the disclosure, it will be deemed to have waived confidentiality. Lawyers cannot be compelled to breach the client-lawyer confidentiality duty without a judicial order. Brazilian courts can order the breach of the client-lawyer privilege in exceptional and very restricted circumstances based on reasonable grounds (ie, if the lawyer is being criminally investigated or where there is a paramount interest of justice - see questions 3, 14, 18 and 19). In any event, the disclosure of information obtained for professional use must be limited to the minimum extent necessary to permit the use in question. * Carlos Ayres contributed to the chapter in the previous edition, passages from which have been reproduced in this edition. On 19 September 2017, the Superior Council of the Brazilian Bar Association delegated powers to the Federal Council of the Brazilian Bar Association to adopt constitutional measures to ensure that the Supreme Court takes action to apply restrictive interpretation with regard to article 7, II, of Federal Law 8.906/94, which governs the Brazilian legal profession, and sets forth that the lawyer has the right to the ‘inviolability of its office or place of work, as well as its work instruments, and written, electronic, telephonic and telematics correspondence, as long as related to the legal profession’. What motivated the Brazilian Bar Association were court decisions determining the interception of conferences between attorneys and their clients during investigations and criminal proceedings. The Brazilian Bar Association claims that no distinction is being made with regard to the content of such communications, and as a result, privileged conferences between clients and their attorneys are being recorded.